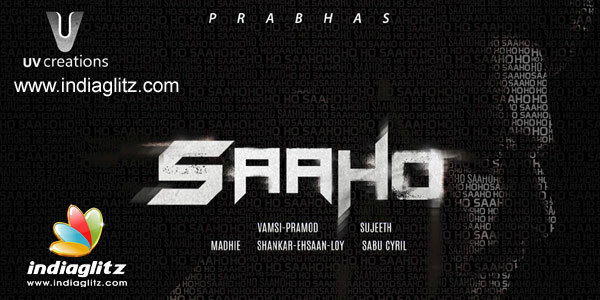 'Saaho' stars Prabhas in a powerful, slick role. The film is currently in the making. Its production works are almost over. Post-production works involve the pooling in of hundreds of CG shots. Director Sujeeth is raring to prove with this mega-budgeted film that Tollywood is really big. Once the entire production works are over, the director's exclusive focus will be on the monumental graphics works and the intricate sound design works. Recently, the overseas rights of 'Saaho' were recently sold out to Phars Films. For all the languages put together, the amount is said to be Rs 42 Cr. This is for all the overseas markets with the exception of China. Neil Nithin Mukesh, Jackie Shroff, Mandira Bedi, Arun Vijay and others are part of the cast. The Prabhas-Shraddha Kapoor starrer will hit the screens on August 15.